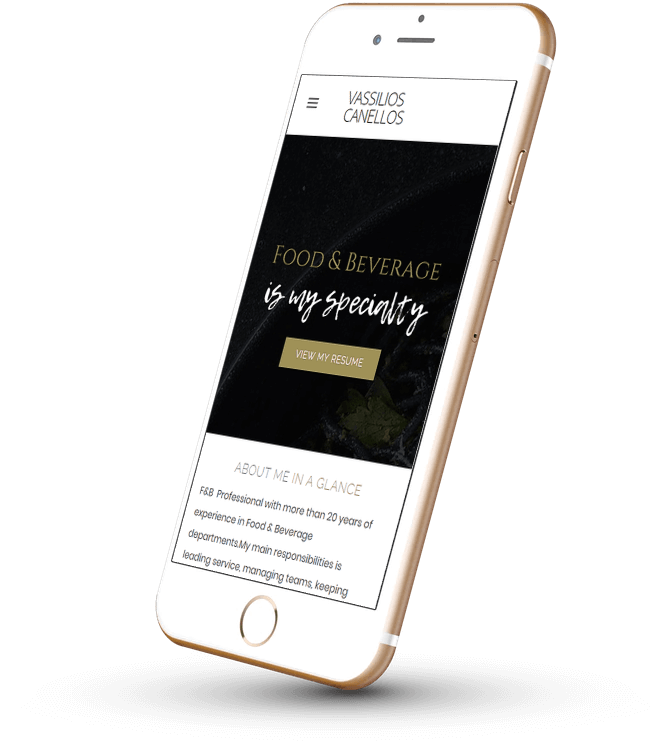 ​Hospitality Professional with more than 20 years of experience in leading service, managing teams and ensuring food safety standards, procedures and processes are followed. During this time, I have coached and mentored emerging talents, shared knowledge with my teams and spoken at Hotel industry events. Strong background in all aspects of food & beverage. Detailed knowledge and understanding of all factors of HACCP , ISO 22000 & ISO 14001 Able to elicit dynamic performance and exhibit excellence in cultivating the guest experience. The course aimed to teach the structure andthe special areas of the F&B Management but also the teaching strategy of the course reflected a more intense practical approach to the crucial points. The education in this school teaches students the skills to effectively manage different responsibilities such as reception and concierge services, restaurant and bar functions, administration, management and marketing. ​Employed for 2 years in H Hotels Collection Hatzilazarou Group in Princess Andriana Resort & Boutique 5 Hotel & Spa. Managed F&B day-to-day operations within budgeted guidelines and to the highest standards. ​Managed, the operations within all food & beverage service areas. Also responsible for the service team of Apocalypsis Restaurant, awarded twice by “Χρυσοί Σκούφοι” "Toques d'or" award. Co-operated with the Executive Chef to ensure the best and most efficient working relationship within the F&B team. Ensured that all staff was knowledgeable of food menus and ingredients of all dishes. Ensured full compliance of all team members in Food Hygiene & Food Safety. Educated the F&B Team periodically using rich media presentations and videos. Responsibility for the business performance of the restaurant.Analyzing and planning restaurant sales levels and profitability.Organizing marketing activities, such as promotional events and discount schemes.Preparing reports at the end of the week, including staff control, food cost and sales. Consistently practiced and acted as a role model in the delivery of the highest standard of guest service to ensure that no customer is ever left unsatisfied. Delivered friendly, efficient customer service and created a warm and welcoming atmosphere to all of our customers. Supervised, trained and motivated others, with the key aim of retaining and attracting new customers in the outlets that they were open to the public. ​Directed other employees through their daily routines and interacted with customers to make sure that they have a satisfactory experience. Acted as quality control, ensuring customer satisfaction through training employees properly and adhering to company policy. ​Supervised the work of bar staff and other bartenders. Stocked bar with all related supplies. Monthly Inventories & reports.